Once you have made a dish, it’s a good idea to make enough so that you have leftovers. The problem with leftovers is that often people get bored with eating the same thing for the next few days. 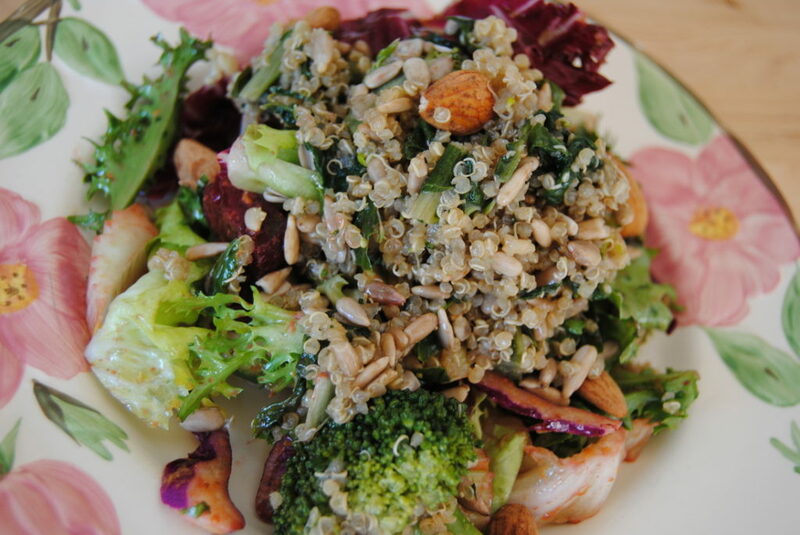 In my last blog post, I added a recipe for a Quinoa Broccoli Salad. 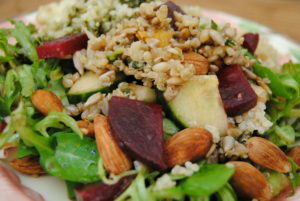 The next day I wanted to switch it up so I added, beets, cucumbers, almonds and celery. It changed the taste of the dish and added more “crunch”, aka fibre. Once I mixed the new ingredients with the previous salad, I drizzled a little more olive oil on top then added the mix to a bed of mixed greens. Celery is an example of insoluble fibre. Rather than absorbing water like soluble fibre does, this acts as an intestinal broom, absorbing toxins along the way. It also helps to keep a healthy transit time in the body. Beets are excellent for cleansing the blood and are also good for immunity. Cucumbers are hydrating and are also good for the skin, teeth and gums. Almonds provide a source of healthy fat and protein. Make sure to soak them in water for a few hours before consumption. This helps to increase mineral absorption in the body and overall energy levels. 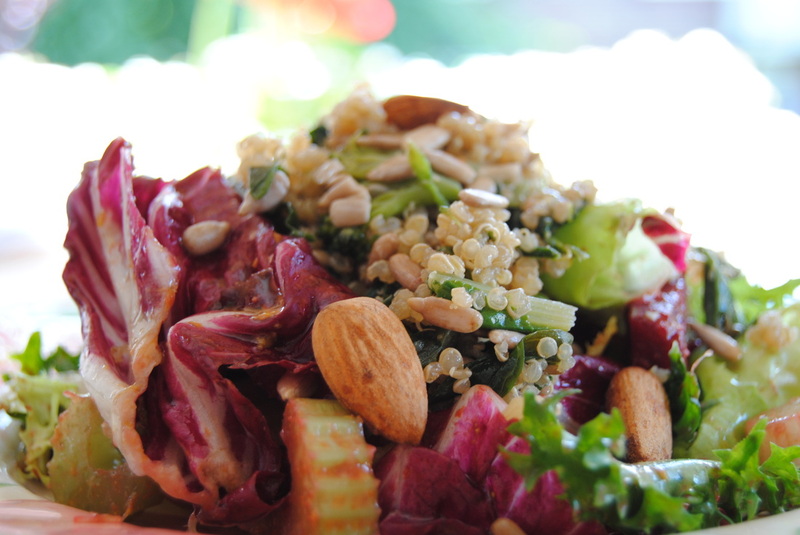 If you have leftovers from the night before, try adding them to a plate of mixed greens. This will keep the dish interesting and continue to add more fibre and nutrients. Enjoy your day!